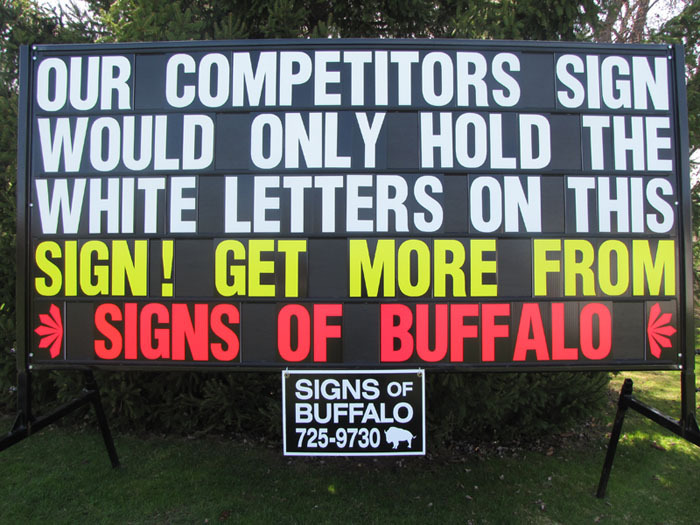 Why Choose Signs of Buffalo? OUR SIGNS HOLD MORE TEXT !!! Signs of Buffalo signs hold more text than our competitors. Our signs are simply the best! Why limit yourself to 64 characters when you can have 100?